A Pastoral Letter from the Bishop of Bath and Wells to His Clergy Concerning their Behaviour during Lent Bishop Thomas Ken Printed for Charles Brome at the Gun at the west end of St. Paul’s, and W. Clark in Winchester. 1688. Used with permission from the Project Canterbury Website. THE time of Lent now approaching, which has been anciently and very Christianly set apart, for penitential humiliation of Soul and Body, for Fasting and Weeping and Praying, all which you know are very frequently inculcated in Holy Scripture, as the most effectual means we can use, to avert those Judgments our sins have deserv’d; I thought it most agreeable to that Character which, unworthy as I am, I sustain, to call you and all my Brethren of the Clergy to mourning; to mourning for your own sins, and to mourning for the sins of the Nation. 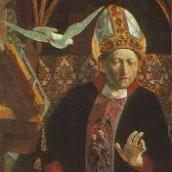 In making such an address to you as this, I follow the example of St. Cyprian, that blessed Bishop and Martyr, who from his retirement wrote an excellent Epistle to his Clergy, most worthy of your serious perusal, exhorting them, by publick Prayers and Tears to appease the Anger of God, which they then actually felt, and which we may justly fear. Remember that to keep such a Fast as God has chosen, it is not enough for you to afflict your own soul, but you must also according to your ability, deal your bread to the Hungry: and the rather, because we have not onely Usual [1/2] objects of Charity to relieve, but many poor Protestant Strangers are now fled hither for Sanctuary, whom as Brethren, as members of Christ, we should take in and Cherish. That you may perform the office of publick Intercessour the more assiduously, I beg of you to say daily in your Closet, or in your Family, or rather in both, all this time of Abstinence, the 51st Psalm, and the other Prayers which follow it in the Commination. I could wish also that you would frequently read and meditate on the Lamentations of Jeremy, which Holy Gregory Nazianzen was wont to doe, and the reading of which melted him into the like Lamentations, as affected the Prophet himself when he Pen’d them. Be not discourag’d if but few come to the Solemn Assemblies, but go to the House of Prayer, where God is well known for a sure Refuge: Go, though you go alone, or but with one besides your self; and there as you are God’s Remembrancer, keep not silence, and give Him no rest, till He establish, till He make Jerusalem a praise in the earth. The first sacred Council of Nice, for which the Christian world has always had a great and just veneration, ordains a Provincial Synod to be held before Lent, that all Dissensions being taken away a pure oblation might be offer’d up to God, namely of Prayers and Fasting and Alms, and Tears, which might produce a comfortable Communion at the following Easter: and that in this Diocese, we may in some degree imitate so Primitive a practice, I exhort you to endeavour all you can, to reconcile differences, to reduce those that go astray, to promote universal Charity towards all that dissent from you, and to put on as the Elect of God, holy and beloved, bowels of mercies, kindness, humbleness of mind, meekness, long-suffering, forbearing one another and forgiving one another, even as Christ forgave you. I passionately beseech you to reade over daily your Ordination Vows, to examine yourself how you observe them; and in the Prayers that are in that Office, fervently to importune God for the assistance of His good Spirit, that you may conscientiously perform them. [3/4] Teach publickly, and from house to house, and warn every one night and day with Tears; warn them to repent, to fast and to pray, and to give Alms, and to bring forth fruits meet for repentance, warn them to continue stedfast in that faith once delivered to the Saints, in which they were baptiz’d, to keep the word of God’s Patience, that God may keep them in the hour of Temptation; warn them against the sins and errours of the age; warn them to deprecate publick judgments, and to mourn for publick provocations. No one can reade God’s holy Word but he will see, that the greatest Saints have been the greatest Mourners: David wept whole Rivers; Jeremy wept sore, and his Eyes ran down in secret places day and night like a Fountain; Daniel mourned three full weeks, and did eat no pleasant bread, and sought God by prayer and supplications, with fasting, and sackcloth and ashes; St. Paul was humbled and bewailed and wept for the sins of others; and our Lord himself when He beheld the City wept over it. Learn then of these great Saints, learn of our most compassionate Saviour, to weep for the publick, and weeping to pray, that we may know in this our day, the things that belong to our peace, lest they be hid from our eyes. Be assur’d that none are more tenderly regarded by God than such Mourners as these; there is a mark set by Him on all that sigh and cry for the abominations of the Land, the destroying Angel is forbid to hurt any of them, they are all God’s peculiar care, and shall all have either present deliverance, or such supports and consolations, as shall abundantly endear their Calamity. Now the God of all Grace, who hath called you unto His eternal Glory by Christ Jesus, make you perfect, stablish, strengthen, settle you in the true Catholic and Apostolick Faith profess’d in the Church of England, and enable you to adorn that Apostolick Faith with an Apostolick Example and Zeal, and give all our whole Church that timely repentance, those broken and contrite hearts, that both Priests and People may all plentifully sow in Tears, and in God’s good time may all plentifully reap in Joy.